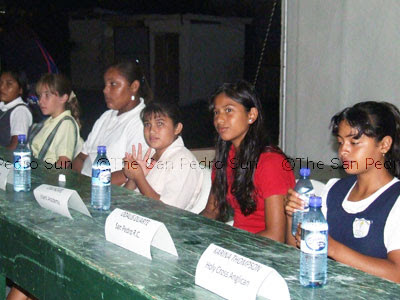 On Wednesday night students from various schools on the island gathered at the Old Football Field for the Annual Primary School Social Studies Contest. The event which is a part of the September Celebration attracted many students and parents. 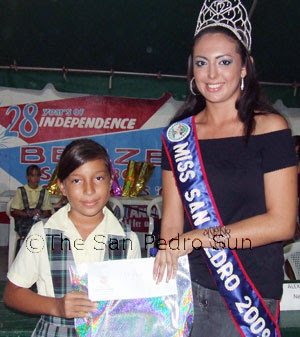 At the end of the night Vivel Rodriguez of Ambergris Caye Elementary School took the first prize. 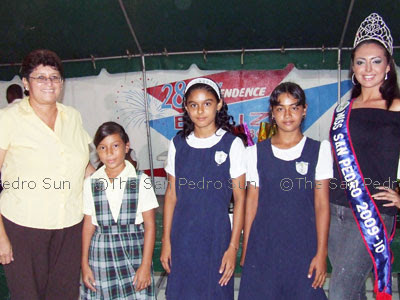 Marilyn Mora and Odalice Duarte, both students of the San Pedro Roman Catholic School, came in second and third respectively. All students that participated received gifts courtesy of the San Pedro Town Council.